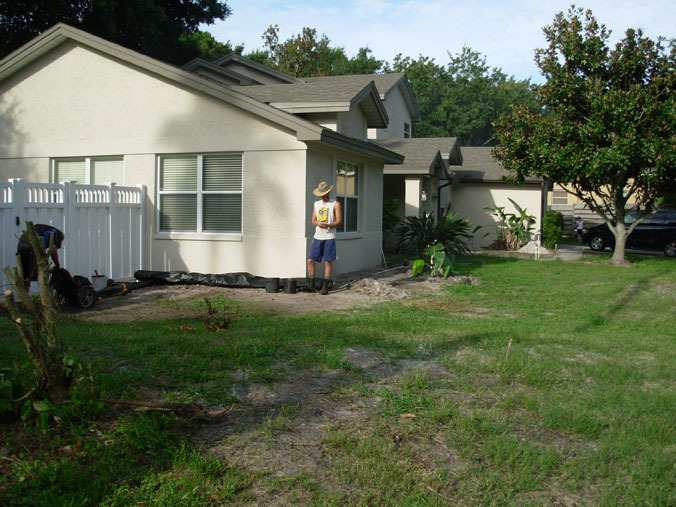 This was a 3 day job, lots of sand and our client was very sceptical of the Sunshine Mamosa, he really wanted to have the typical green grass lawn and thought it was the best choice. 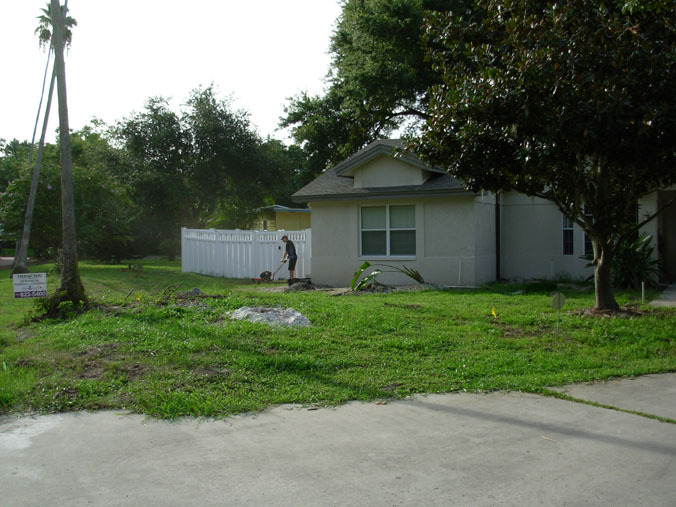 He cannot thank us enough for changing his mind, the yard speaks for itself, wow. 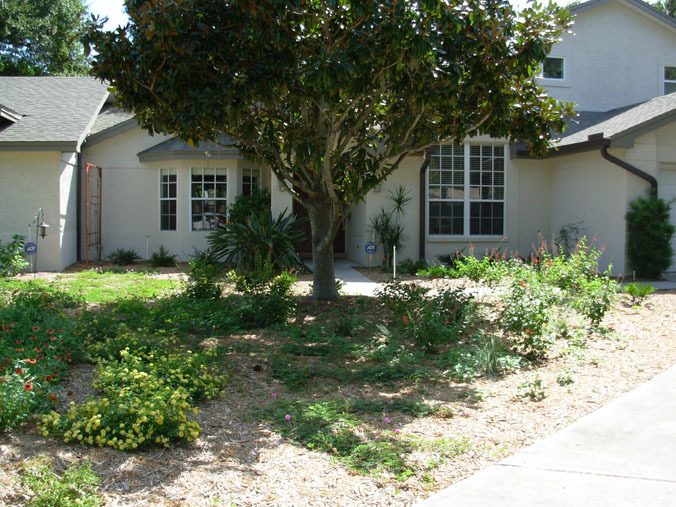 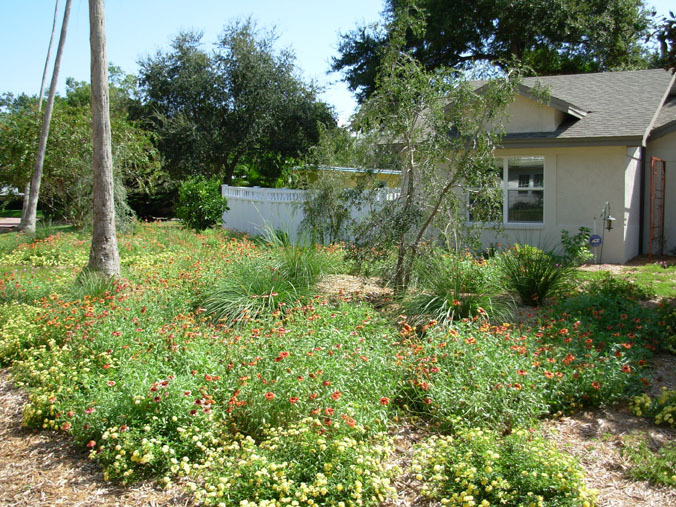 In just 10 weeks this yard was transformed into a Florida native habitat. 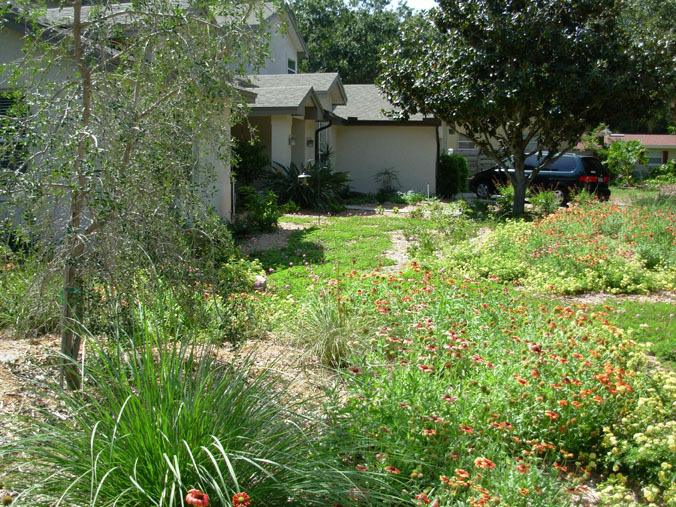 No more mowing the grass and another great example of a low maintenance, sustainable habitat for your home.